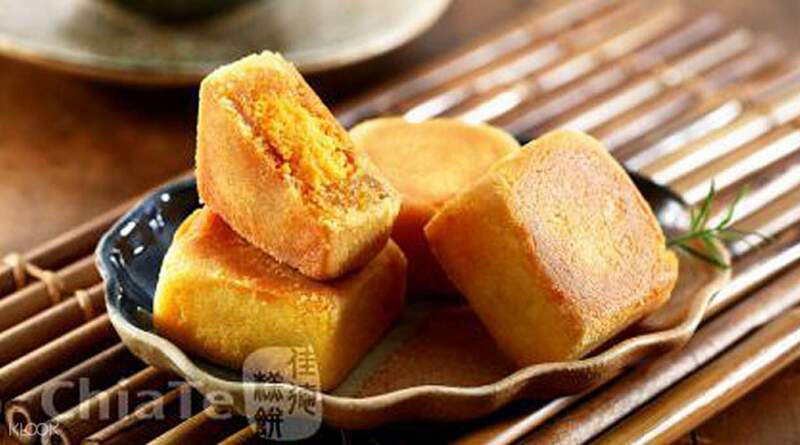 Pick up some sweet and delicious pineapple cakes before you leave Taiwan - the perfect souvenir to bring back to friends and family at home. 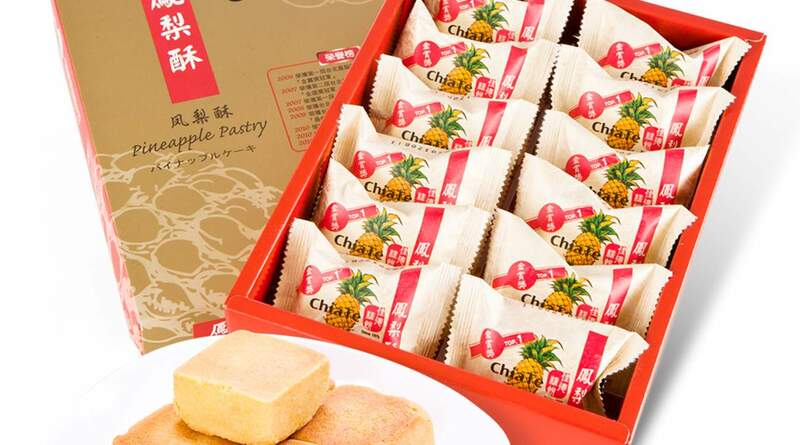 Chia Te Bakery's award winning pineapple cakes offer an iconic taste of Taiwan - with a crispy and crumbly outside and filled with delicious fruit fillings within. Choose from three different fillings depending on your personal tastes (Original Pineapple, Pineapple & Cranberry and Pineapple & Egg Yolk), and customize the size of your order depending on your preferences. Even better, you can pick up your purchases at Taipei Taoyuan Airport (TPE) or Taipei Songshan Airport (TSA) before your flight out of Taiwan without the hassle of lugging your souvenirs all the way to the airport. It was very easy and convenient. The instructions are very clear - pick up beside check in counter 12 in Terminal 1 Taoyuan airport. It's just a yellow stall that says "pelican" and all you have to do is to show your voucher and they will immediately give you your order. Mine comes with a big box since I ordered 6 boxes. They also give one paper bag per box so if you want to gift this, it would be presentable. Highlight is the taste, super delicious!!! Great buy! It was very easy and convenient. The instructions are very clear - pick up beside check in counter 12 in Terminal 1 Taoyuan airport. It's just a yellow stall that says "pelican" and all you have to do is to show your voucher and they will immediately give you your order. Mine comes with a big box since I ordered 6 boxes. They also give one paper bag per box so if you want to gift this, it would be presentable. Highlight is the taste, super delicious!!! Great buy! as i was taking scoot back to singapore, collection was at the other end of the terminal, do reach the airport eariler for collection. it was nicely packed in carton box for check in. There are individual plastic bag inside too! very good service for the price. as i was taking scoot back to singapore, collection was at the other end of the terminal, do reach the airport eariler for collection. it was nicely packed in carton box for check in. There are individual plastic bag inside too! very good service for the price. chia te pineapplecake is so delicious especially with the pineaapple and egg yolf flavor. 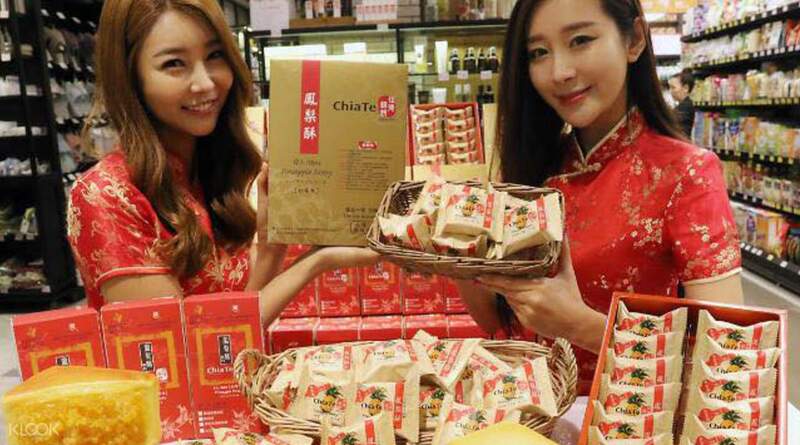 it is easy to pick up at taoyuan terminal 1 beside counter 12 and it come to a paper bags as gift...it is so special and delicious delicacies...will buy more one next time. thank you klook. chia te pineapplecake is so delicious especially with the pineaapple and egg yolf flavor. it is easy to pick up at taoyuan terminal 1 beside counter 12 and it come to a paper bags as gift...it is so special and delicious delicacies...will buy more one next time. thank you klook. The box was sealed when I picked it at the Terminal 2 airport near counter 19 and checked in at the counter. The box was cute including the paper bag. The box was sealed when I picked it at the Terminal 2 airport near counter 19 and checked in at the counter. The box was cute including the paper bag. received the package in a nice sealed box. did not expect the pastry to be that big, it was really really tasty! 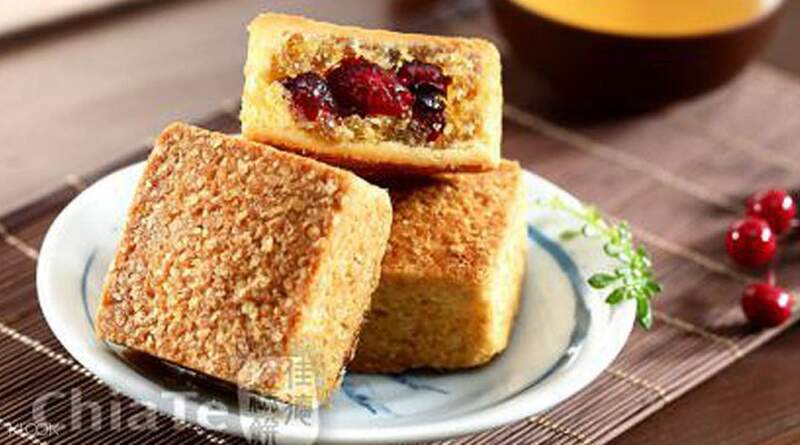 - i love the bread, pineapple not to sweet - box of each dozen really nice and free paperbags if will be given as a gift. all pastries expiring 1 month from now, not bad. will definitely try other flavors next time. received the package in a nice sealed box. did not expect the pastry to be that big, it was really really tasty! - i love the bread, pineapple not to sweet - box of each dozen really nice and free paperbags if will be given as a gift. all pastries expiring 1 month from now, not bad. will definitely try other flavors next time. a must try! it tastes so good. it was packed nicely and is ready for counter check in. i was also impressed as the expiry date is 1month after my picked-up date.. thumbs up! a must try! it tastes so good. it was packed nicely and is ready for counter check in. i was also impressed as the expiry date is 1month after my picked-up date.. thumbs up! Pineapple cakes taste delicious. Counter can be easily find,just near checkin counter 12. Pineapple cakes taste delicious. Counter can be easily find,just near checkin counter 12. Very easy to pickup the packages. Package very safe but have to pay extra 50nt if you need the band. The best thing is the price cheaper than 711 and included paper bag for each box ( got 20 bags for my 20 boxes). Very easy to pickup the packages. Package very safe but have to pay extra 50nt if you need the band. The best thing is the price cheaper than 711 and included paper bag for each box ( got 20 bags for my 20 boxes). Convenient and easy to pick up. They packaged it nicely into a box and provided paper bags. But might be difficult for those who do not understand Mandarin as the SMS confirmation that they send a day before is in Mandarin. Convenient and easy to pick up. They packaged it nicely into a box and provided paper bags. But might be difficult for those who do not understand Mandarin as the SMS confirmation that they send a day before is in Mandarin.